The Lake City After School Project focus’ on English Language Learning (ELL) programming at Olympic Hills Elementary School. Temporarily sited at the recently refurbished Cedar Park School, the campaign to reach those most in need of support has been well received by teachers and staff. Intentional one on one student engagement with adult tutors along with quality professional program guidance gives the students an opportunity to meet all important reading guidelines. As the ELL program meets the halfway mark in the 2015-16 school year, the MC2 steering committee met this week to prepare, plan and vision future success. Having dedicated volunteers committed to students in need is promising development in the future of Lake City area youth. Many ‘thanks’ to the steering committee for their time, guidance and care. 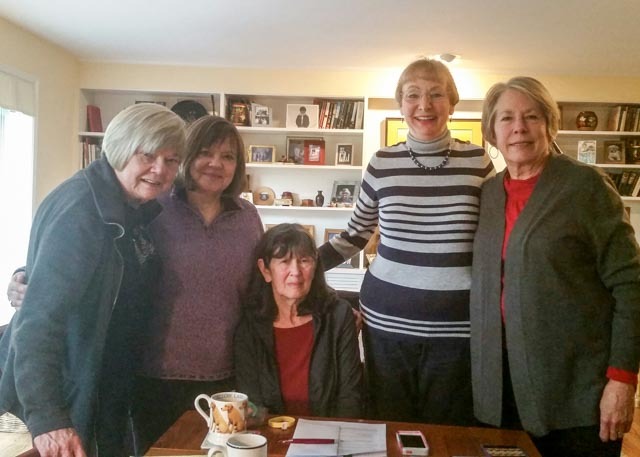 (L-R) Dody F., Yolanda H., Sue W., Karen A. and Kathy C. help make up the steering committee for the Lake City After School Project at Olympic Hills Elementary.